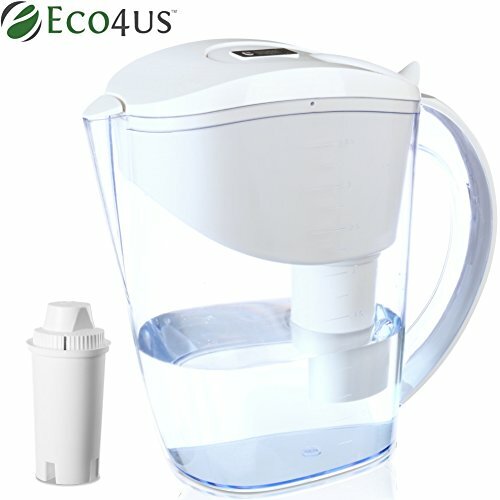 Produces Healthy, Great Tasting Water. BPA Free. Ergonomic Design with Digital Filter Replacement Indicator. Built with Food Grade Materials. Delivers Clean, Mineral Rich Water. Filter utilizes 7 layer filtration system. Helps filter out chlorine and other contaminants and permanently absorbs metals such as lead and copper. Cost Effective. On average, drinking filtered water costs approximately 90% less than bottled water. If you have any questions about this product by Eco4us, contact us by completing and submitting the form below. If you are looking for a specif part number, please include it with your message.